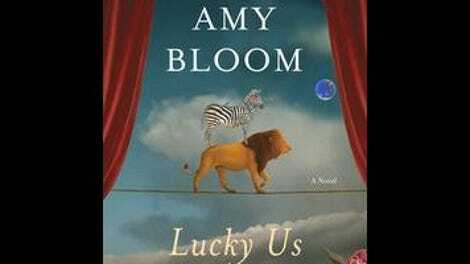 “Lucky” isn’t a word thrown around much in Amy Bloom’s new novel, Lucky Us. 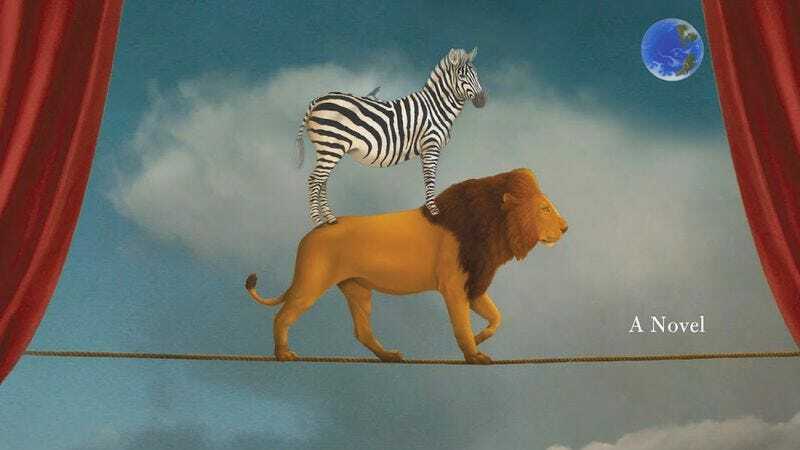 Yet an old bit of advice from a long-dead grandmother reverberates through much of the book: “It’s good to be smart, it’s better to be lucky.” Eva Acton, the story’s protagonist, is blessed with the former; the latter proves a bit trickier. In the opening paragraphs, a 12-year-old Eva learns that the father she sees once a week has another family—his legitimate one—that his wife has died, and that she has a half-sister, Iris. Shortly thereafter, young Eva is deposited on her father’s front porch with a suitcase and without so much as a “goodbye and good luck” from her mother. It is the first of many parental disappointments. The two sisters eventually warm to each other, and they stick it out another couple of years before leaving small-town Ohio to make lovely Iris a star and make their own way in Hollywood. The rest of the story unfolds as these two girls’ futures unfold: They criss-cross 1940s America, making their awkward, painful passages into adulthood, and practicing the kind of fierce loyalty and blind selfishness that often accompany sisterhood. This is Amy Bloom’s third novel, her seventh book overall, and the former psychologist has been frequently lauded for the skillful way she portrays human behavior and motivation, while still managing striking turns of phrase. She continues to use her incisive ability in a compelling way with this outing. In the early pages of the novel, she describes Iris’ attitude toward Eva as similar to Claudette Colbert’s toward Louise Beavers in Imitation Of Life, then includes a line from the movie. Even if the reader has not seen the 1934 film, she knows exactly what sort of attitude to which Bloom is referring, and the book operates impressively this way—introducing new situations and getting at the heart of all that is going on with a well-crafted sentence or two. The plot takes a few hairpin turns and reveals consequences equally impressive due to their sheer inevitability, yet lack of triteness. It’s a hardscrabble life for two women on the brink of poverty in the ramp up to and aftermath of World War II. These two do what they must, creating makeshift families along the way. Narratively, the format gets a bit complicated. Eva is the only one with entire chapters from her first-person perspective, though the other characters do have chapters devoted to their goings-on. Much of the storytelling is accomplished in the letters these characters write, many of which do not reach their destinations for a myriad of reasons. It’s telling that the letter-writers themselves often know these messages will probably not reach their intended and they write them anyway, just to make sense of their lives. These letters are really just elaborate diary entries written by several people who would never keep a diary; they are desperate cries into the abyss camouflaged as a personal chronicle of events. There are some weaker spots about this 10-year odyssey of the Acton sisters: Reenie is introduced early in the proceedings as the object of Iris’ affections, and is the reason for much of what unfolds throughout the remaining story. Yet this is the one character who remains unknown—and unknowable—in the book. Also, the author doesn’t seem to want to make a Iris an actual villain, just incredibly selfish for many years, but Bloom doesn’t flesh her out enough to make this truly a tale with dual protagonists. Iris is not really a ghoul; she is simply very effective in her manipulations. And it’s not quite clear until about halfway through the book that Bloom has pulled some stealth in her presentation: the story’s third major character isn’t who it initially appears to be, but someone introduced as an ancillary fool. Then again, there are no ancillary characters in an Amy Bloom book. They are all intricate pieces in a machine. It’s a testament to Bloom’s skills as a storyteller that almost every individual presented here feels like a real person—not just a character, not a convenient plot device, not a one-note spouter of exposition. And each one of these characters is singular unto themselves. This particular version of events is (primarily) Eva and Iris’. Another, equally compelling account could have been Edgar and Clara’s story, or Danny and Ruthie’s, or Francisco and his sisters’. That is no small feat for a novel that is less than 250 pages.